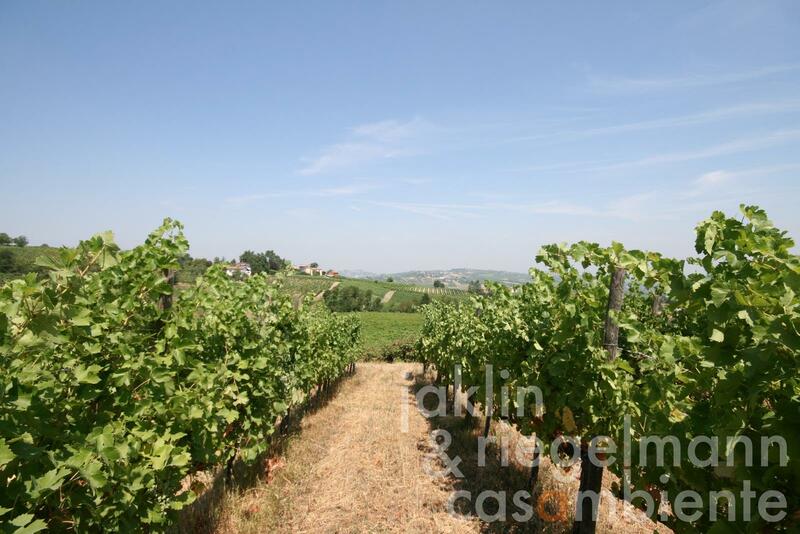 Italian winery Oltrepò Pavese DOC for sale with Agriturismo and 13 hectares of vineyards. The winery is situated in a panoramic setting in the beautiful hilly landscape of the Oltrepò Pavese region in Lombardy a few kilometres south of Milan and Pavia between Piacenza (Emilia-Romagna) and Alessandria (Piedmont). The grape varieties grown are Pinot Nero, Bonarda, Riesling Italico, Chardonnay, Cabernet Sauvignon, Barbera and Merlot. The wine production was ceased in 2013. The annual grape production still lies at approx. 160 tons (approx. 150,000-200,000 bottles), which is sold to neighbouring wineries. The wine storage is currently configured to hold approx. 250,000 bottles. The wine cellar and productions facilities have a capacity of approx. 200,000 litres (cement, stainless steel, wood). Some of the estate's products have achieved excellent results among experts (e.g. Vini di Veronelli, DuemilaVini, Gambero Rosso). The produced Pinot Nero Metodo Classico and Pinot Nero Metodo Classico Rosè sparkling wines are categorised as DOCG. The property is run by an experienced winemaking family since 1981. The winery comprises a villa (approx. 450 m²), built in 1929, with an owner's apartment with generous living rooms on the ground floor as well as 7 bedrooms with en-suite bathrooms on the first and second floors. The first annexe building (approx. 1,100 m²) houses the winemaking facilities, wine tasting rooms and offices as well as 2 apartments on the first floor. The second annexe building offers 5 holiday apartments. In addition, there are two cellar buildings (approx. 250 m² and 900 m²) for bottling and storage. On request the owners are available for support and advice during the transition period. Italy, region Lombardy, province Pavia. 13.95 ha with approx. 13 ha of vineyards. Electricity, mains water, central heating, fireplace, air conditioning, gas tank, telephone, broadband internet access, satellite-TV, automatic gate, balcony, garage, private parking, terrace, vineyard, garden.